Reliance Jio's additional data is available over user's current active pack. Jio's 'Celebrations Pack' automatically gets credited to the Jio account. The additional data is available over user's current active pack. Users do not have to purchase any plan separately to avail this offer. However, the offer validity may differ from user to user. 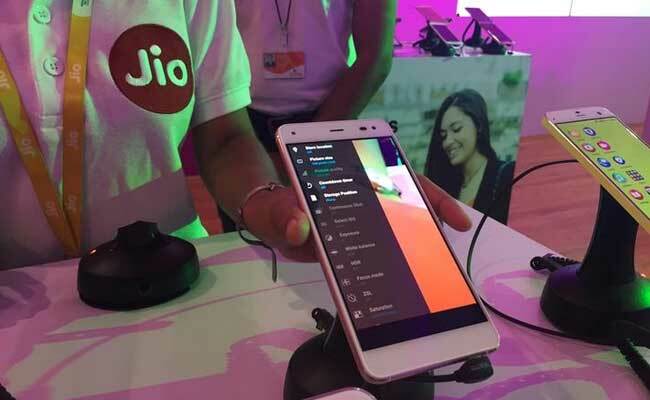 Mukesh Ambani-owned Reliance Jio is offering daily 2GBs or gigabytes of free additional data till September 11, a company source said in a statement. 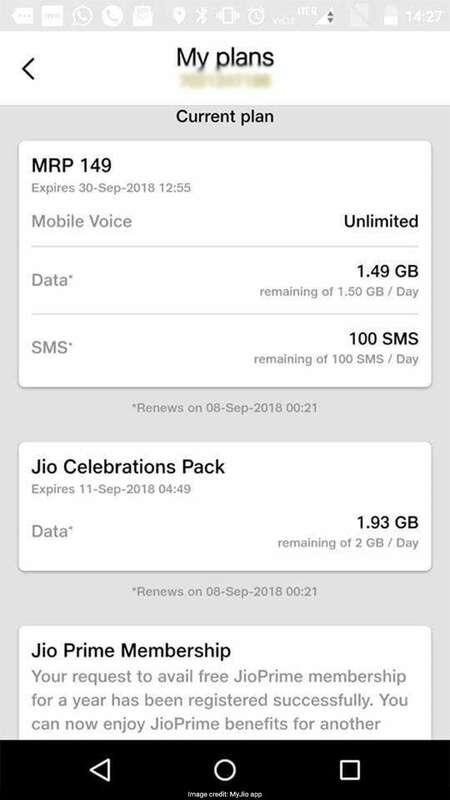 Jio's all-new free additional data offer is called as 'Celebrations Pack'. However, the offer validity may differ from user to user. The additional data is available over user's current active pack. Jio's 'Celebrations Pack' automatically gets credited to the Jio account. Users do not have to purchase any plan separately to avail this offer. The company completed its two years this month since it debuted in the telecom market. Jio's 'Celebrations Pack' offer is a part of this celebration, said the operator on its app. In order to check the usage of free 2 GB data offer, user can visit the Myjio app and open 'My Plan'. The subscribed plan will appear along with the 'Celebration offer'. For example, if a user has Rs 149 prepaid plan, which offers 1.5GB per day data, as active pack, he/she will now get 1.5GB+2GB data till September 11. In a separate offer, Jio is also offering 1GB of free additional 4G data to its subscribers on scanning a barcode from Dairy Milk chocolate wrapper. The offer is available on MyJio app till September 30. Jio's 'Cadbury offer' is applicable on Cadbury dairy milk chocolates worth Rs. 5, Rs. 10, Rs. 20, Rs. 40 and Rs. 100. The offer is also available on Cadbury dairy milk crackle worth Rs. 40, dairy milk roast almond worth Rs. 40, dairy milk fruit and nut worth Rs. 40 and Rs. 80, dairy milk lickables worth Rs. 35. Subscribers can either avail the data on their account or donate the data to an NGO called Pratham Foundation. The free data will be credited into the MyJio account within seven to eight working days from the date of redemption.